Optional Single Supplement: $928 USD (number of singles limited). Hungary, Romania & Bulgaria Tour from Adventures Abroad: Budapest, Hungary, is the first port of call on this journey through the varied landscapes and cultures of these three highly rewarding Eastern European tour destinations. Mediaeval castles, neo-Renaissance churches, royal palaces, hilltop fortresses and a concert hall that displays a wide spectrum of architectural influences, including Byzantine, Moorish, Romanesque and Hungarian, give travellers an insight into the great beauty and diversity of the city. We stop to admire the UNESCO-designated historic centre of Holloko and the Baroque buildings that epitomize Eger, before heading into bewitching countryside sceneries in the Bukk Hills. Charming traditional villages and wildlife reserves bring our Hungary leg of the tour to an end, at which point we make headway for Bucharest, Romania. From the capital, once dubbed 'The Paris of the East' as much for its hectic, cosmopolitan feel as for its architecture, we head to the Bucovina Monasteries, through beautiful towns and villages steeped in history and find centuries-old castles, monuments and sites of interest around the Transylvanian plateau. And we certainly can't pass up the opportunity to check out Bran Castle, believed to be Dracula's, whether the fable holds truth or not! Another overnight train takes us to the mountain-encircled Bulgarian capital, Sophia, a city of wide boulevards and quaint park gardens and the second oldest capital in Europe. Heading onwards, we travel to ancient cities on the Plain of Thrace and into the Valley of the Roses to get a feel for the cultural and natural environments of the country and bring an end to our thrilling adventure by exploring the famous Rila Monasteries. Today we arrive in Budapest, Hungary. Hungary is a land of beautiful monuments and romantic music. Buda and Pest, two of the city's three regions, both face the mighty Danube, which forms the physical and spiritual centre of the Hungarian capital. It is its centrepiece, its heart, and its pulse. Its relationship with the city is even more intimate than that of the Seine with Paris or the Arno with Florence. This morning we depart for a bus tour of Budapest. We start our day at Heroes Square and nearby Vajdahunyad Castle, where we briefly learn a bit about the history of Hungary. Our tour will continue toward Margaret Bridge over which we cross to the Buda side. Our next stop is the Citadel, a great place for panoramic views of the whole city. After a quick picture stop we continue to castle hill where we spend the rest of the day. A visit of St Matthias Church and the Fisherman's Bastions is by many seen as a highlight of the day. After a lunch break we continue on foot to the Royal Palace, where we visit the National Gallery, dedicated exclusively to Hungarian art. At this point you are free to continue independent exploration or return on our bus back to the hotel. Your Tour Leader can help you to plan the rest of your day. This morning we embark on a leisurely WALKING tour of city's urban heart. This is an area is full of stately old buildings, grand avenues, and innumerable tiny streets. We will take local transport to the huge neo-Gothic Parliament (Orszaghaz), the most visible building of Budapest's left bank. Built by 1,000 workers between 1885 and 1902, this building has now become the symbol of the capital with its slender towers, spacious arcades, high windows and vast central dome. Nearby one can see the magnificent building housing the Museum of Ethnography. Walking southeast we come to the stately and sprawling Liberty Square (Szabadsag ter). In the square's center remains a gold hammer and sickle atop a white stone obelisk, one of the few monuments to the Russian 'liberation' of Budapest in 1945. Passing by Roosevelt Square we soon come to the famous Chain Bridge, the oldest and most beautiful of the seven road bridges that span the Danube in Budapest. Before it was built, the river could be crossed only by ferry or by a pontoon bridge that had to be moved when ice blocks began floating downstream in the winter. We continue along the pedestrian 'Promenade' with great views of Gellert Hill and Castle Hill on the opposite bank. We will stroll past the Concert Hall (Vigado), which is a curious mix of Byzantine, Moorish, Romanesque and Hungarian motifs. From here we walk to one of the liveliest places in Budapest, Vorosmarty Ter, a large square that the north end of Budapest's best known shopping street--Vaci Utca. This is a fantastic pedestrian-only area of the city that has undergone a full transformation over the last 10 years. Eventually we will arrive at the famous 19th century Central Market Hall. This cavernous three-story market teems with people browsing stalls packed with everything from salamis and red-paprika chains to folk embroideries and souvenirs. The balance of the day at leisure. This morning we travel by private coach to the riverside town of Szentendre, along the 'Danube Bend'. Szentendre is known for its museums, galleries and artists. Populated for well over a millennium, under the Romans it was called Ulcisia Castra, meaning Wolf Castle. Today its south European atmosphere with baroque architecture, churches of various faiths, narrow side streets, and cobblestone roads characterizes this town. You tour leader will take you on a walking tour through this gorgeous little town. From Szentendre we continue on towards Eger. We will make a stop in the UNESCO protected village of Holloko, a small town of approximately 650 people. What sets this village apart from others is the 'Old Village' where 50 houses have been listed and declared historic monuments. Throughout time Holloko has managed to preserve its unique ethnographic and folk art values. The village itself is picturesque, with its cobbled streets and little white houses. Atop the nearby hill we can view what remains of a 13th century castle that was blown up by the Hapsburgs. From here we continue on to Eger, situated in the Eger Valley between the Bukk and Matra Hills. Eger is famous for Red Bull's Blood (Egri Bikaver) wine, its medieval library, and for having the northernmost minaret in Europe. There are still many accessible sites and much charm to the narrow streets, arcaded buildings, wrought-iron gates, and Baroque towers and domes of the Old Town. This is the perfect walking city with something interesting at every turn. The nearby peaks of some of Hungary's highest mountains provide a natural backdrop for this city's historic monuments. Eger has been inhabited since the Stone Age. During the early Middle Ages the area was inhabited by German, Avar and Slavonic tribes. 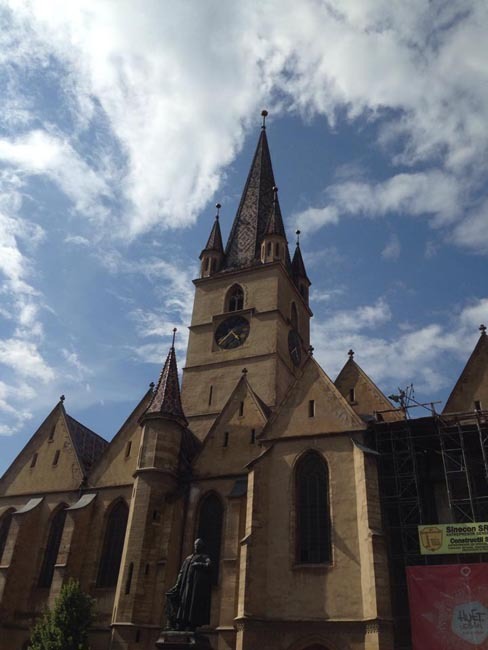 Taken over by the Hungarians in the 10th century, Eger reached an age of prosperity during the 14th-16th centuries. Winegrowing, for which the town is still famous, began to be important at that time. During the Turkish occupation of Central Hungary, Eger became an important border fortress, successfully defended by Hungarian forces in the 1552 Siege of Eger, in the face of overwhelming odds. Our walking tour today will include a visit to the famous castle of Eger with its museum and underground casements. We will also see the Archbishop's Palace, Franciscan Church, and Turkish Minaret. Today we depart early for our journey from Eger to the region of Southern Transdanubia, a region of undulating hills, forest clad ridges and rural ambience. After passing Budapest we start our route south, traveling parallel to the Danube River for much of our journey. After passing by Paks, a town in central Hungary on the banks of the Danube River, we will continue to the city of Pecs. Pecs has been selected to be the European Capital of Culture in 2010, sharing the title together with Essen and Istanbul. This is a city not to be missed; as it is a major art center and university town. 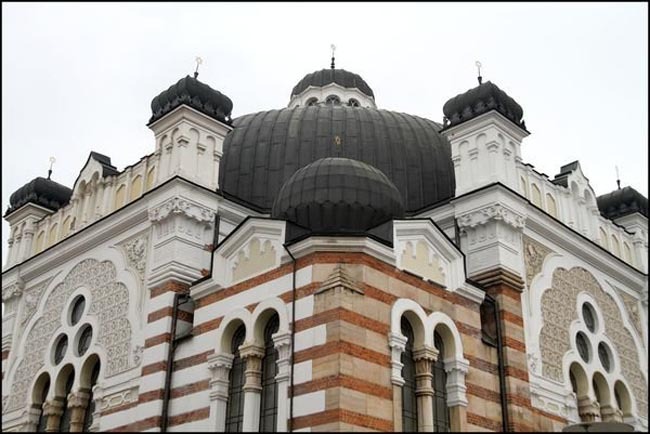 Here we will take a walking tour of the Old Town, and will see the historic cathedral, synagogue, mosques and fourth-century Christian necropolis, a UNESCO World Heritage Site with burial chambers decorated in murals. This morning we will venture towards the southern border to visit the historic town of Siklos and its well-preserved medieval castle. Wine has been produced in this region since the Romans settled here at a place they called Seres. After our visit to the castle we will break for lunch before an afternoon of sightseeing, starting with the the famous Villany-Siklos Wine Road, 30 km long and covering eight villages. The Romans finds uncovered at the base of the hills prove that people have been growing grapes and making wine here for over 2,000 years. Today the Villany-Siklos wine region covers an area of about 2000 hectares. We return to Pecs for our overnight. Today we proceed north to the Lake Balaton Region. Lake Balaton is the largest lake in Central Europe and is often affectionately called the "Hungarian Sea". Our day will be spent exploring this region. We will cross the lake by ferry from Szantod to Tihany. The Tihany Peninsula was declared a national park in 1952, and the peninsula is well known for its historical monuments, beautiful panorama and its Mediterranean climate. Balatonfured is a small town on the northern shore of the lake and is part of a region that was important to social life in the 18th century, even before bathing and swimming took off as a mass pastime 100 years later. This is the place where the first Balaton steamship started its trips, and the first yachtsmen's association began here. Here were built the villas of 19th-century celebrities, and the town is still the center of festivities. Patients have been treated here for three hundred years with the help of the mineral water sources, as the water is good for diabetes and digestive malfunctions. 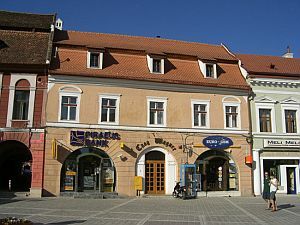 Veszprem is a quaint and quiet town away from the lakeshore region, and here we will take a walk in the Castle Quarter. At the end of our day we travel back to Budapest for our last night in Hungary. Early this morning we fly to Bucharest. 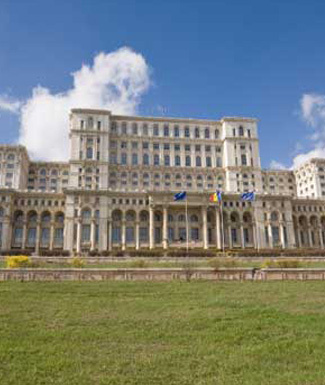 Known for its wide, tree-lined boulevards, glorious Belle Epoque buildings and a reputation for the high life (which in the 1900s earned its nickname of "Little Paris"), Bucharest, Romania's largest city and capital, is today a bustling metropolis. On arrival, after settling in a bit, your Tour Leader will take the group on an informal walking orientation of the city followed by free time. We begin our full day of travel and activities with a morning departure by road toward Sinaia. Upon arrival we will visit the nearby Peles and Pelisor Castles. Considered by many one of the most beautiful castles in all Europe, Peles Castle is a masterpiece of German new-Renaissance architecture. This castle was built in the final quarter of the last century for Romania's 'imported ruler' King Carol. Designed mainly in German Renaissance style, this summer residence was decorated throughout by Carol's eccentric wife Carmen Sylvan. Many valuable objects are contained within the castles 160 rooms. 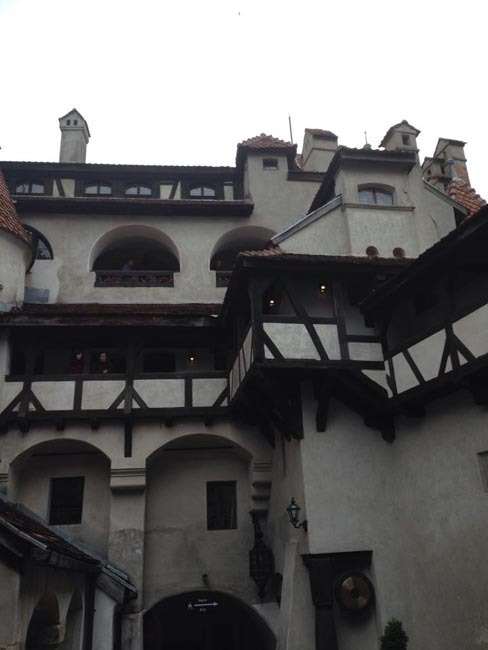 Almost adjacent to Peles Castle is Pelisor ("Little Peles"). King Ferdinand, who succeeded Carol I, intended to use Peles Castle as a summer residence. Pelisor's 70 rooms feature a unique collection of turn-of-the century Viennese furniture and Tiffany and Lalique glassware, and were mostly decorated in the Art-Nouveau style by Queen Maria. 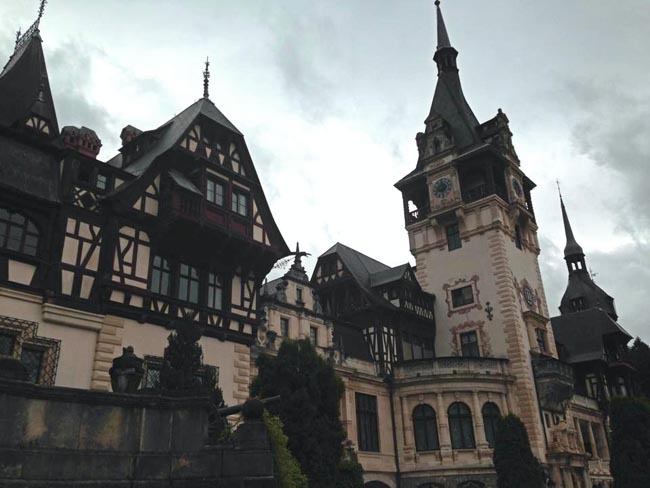 We also visit Sinaia, the "Pearl of the Carpathian Mountains". We will take a leisurely STROLL up to the 17th century Sinaia Monastery, an interesting cluster of churches and courtyards which take their name from the ancient Egyptian monastery on Mount Sinai. After a break for lunch in Sinaia we depart for Bran and Bran Castle. Bran Castle is erroneously claimed by some to be that of Count Dracula, the world's most famous vampire. Perched atop a rocky outcrop, this strategically located castle was built in 1377 to protect nearby Brasov from invaders. The castle's rooms and towers surround an inner courtyard. Some rooms are connected through underground passages to the inner court. Bran is home to a rich collection of Romanian and foreign furniture and art items from the 14th-19th centuries. After our visit we continue to Sighisoara, arriving in time for dinner. Sighisoara -- Schassburg in German, or Segesvar in Hungarian -- is the only inhabited Middle Ages city in Europe. Mentioned by historians as far back as 1191, Sighisoara has a long tradition in craftsmanship and trade and its fortifications and defense towers still witness for guilds as those of tinsmiths, butchers, hatters, and blacksmiths. Narrow winding streets, houses with thick walls and huge portals painted in vivid colours, towers, and churches, all old and very old (13th-16th centuries) enhance the charm of the place. This morning we will start with a walking tour of Sighisoara. We will visit to the History Museum located in the former Town Hall. The Clock Tower, dated from the 14th Century, reveals a marvelous view over Sighisoara. 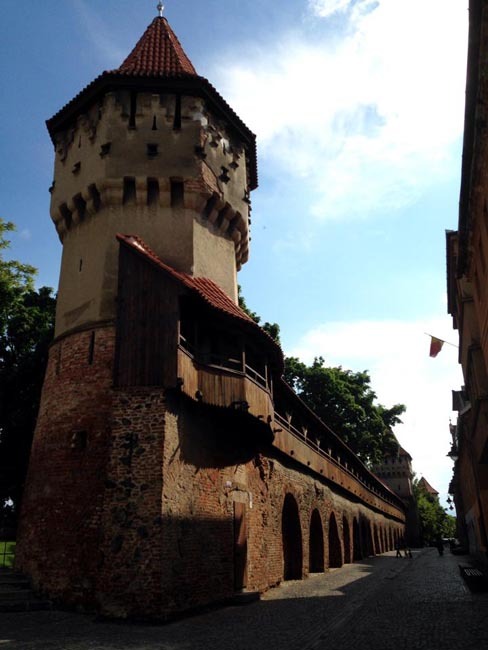 We will also see the house where Vlad Tepes once lived. We continue on to Biertan, a former Saxon village south of Sighisoara. 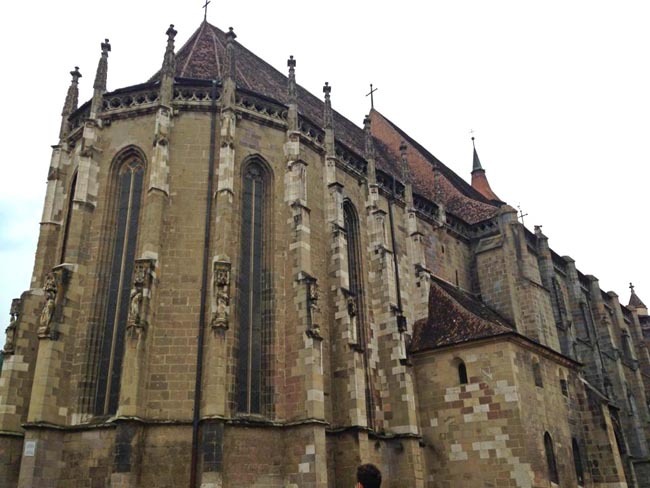 Here we find a fortified church from 15th century, listed as a UNESCO World Heritage, representative of the unique Transylvanian phenomenon of building rural fortified churches. Surrounded by three lines of defense walls of 12m high and towers, the church was never breached by invaders. After time for lunch in Biertan, we continue to Sibiu. 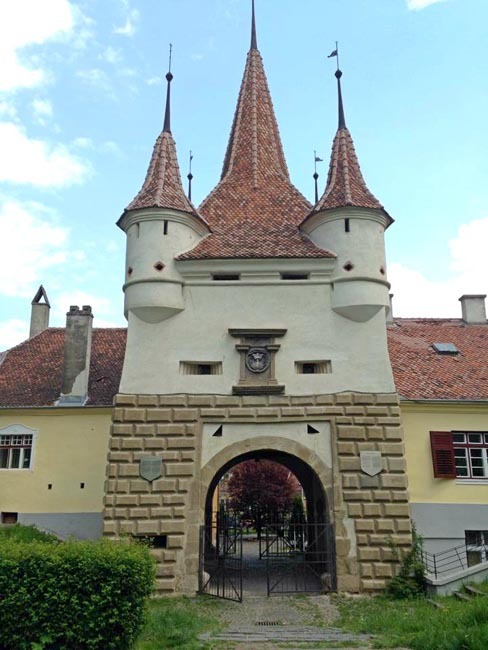 Called Hermannstadt in German, Sibiu was the most important of the 12th century Saxon settlements in Transylvania and its industrious emigres, primarily from the Rhineland, the Moselle Valley, Flanders and Saxony, erected walls around it for protection. The first wall destroyed by invaders not long after its construction, but remains of a 15th century brick wall still stand. Because of the blood shed at its walls, the Turks, after an unsuccessful onslaught, called Sibiu the "Red City." Built into the walls are defense towers that were assigned to particular guilds and medieval houses. Upon arrival we will enjoy a sightseeing tour of Sibiu, one of the oldest towns on the Transylvanian Plateau. We will wander its old quarter, where houses with immense roofs have been built within the fortifications, giving Sibiu its powerful medieval aspect. The Tartans destroyed the town's first Citadel in the 13th century and the massive Evangelical Church now occupies the site. It took 200 years to build the church in the 14th and 15th centuries. Today we visit is one of the biggest salt mines in Europe. Its exploitation has been an important income source for the inhabitants of the area for hundreds of years. We arrive in the heart of the mountains by bus through a long tunnel (1500 m). 120 m below the surface we find an underground city. The air is ionized and it is believed to have therapeutic qualities for those suffereing from respiratory ailments. Treatments are given under the supervision of a medical team that organizes gym programs and breathing exercises. Tourists have everything they need: treatment places, coffee shops, billiards, libraries, entertainment and even a place where people can pray. After a break for lunch in Praid, we continue via Bistrita, founded in the early 13th century by German settlers and (due to its location on the main trading route with Moldavia) to become one of Transylvania's major Medieval cities. Some visitors are attracted by the fact that the town was mentioned in Bram Stoker's novel, Dracula. We overnight in Gura Humorului, the perfect base for our explorations of the Painted Monasteries of Bucovina. Today is spent visiting some of the most impressive Bucovina monasteries. These triumphs of Byzantine-influenced art reflect a flowering of Moldavian civilization in the 15th and 16th centuries. The "Painted" Monasteries are a major Moldavian destination, because of the vivid and animated frescoes on their church walls. In acknowledgement of their value, the monasteries in Becoming have been declared as UNESCO protected cultural sites. The art historians compare their artistic value with the mural paintings of the San Marco church of Venice. The secrets of the Moldavian painters who prepared the colors and the techniques that made the paintings incredibly resistant are still a mystery. We will visit Voronet, a nun monastery consecrated to St George, within walking distance from Guar Humorous town. Voronet is probably the most accomplished sample of artistic achievement in Moldavian architecture and painting. The monastery was built at a time of peace with the Turks, when Stephen had centralized the state, giving a new impetus to its economy and culture. We will also visit Humor Monastery, founded in 1530. 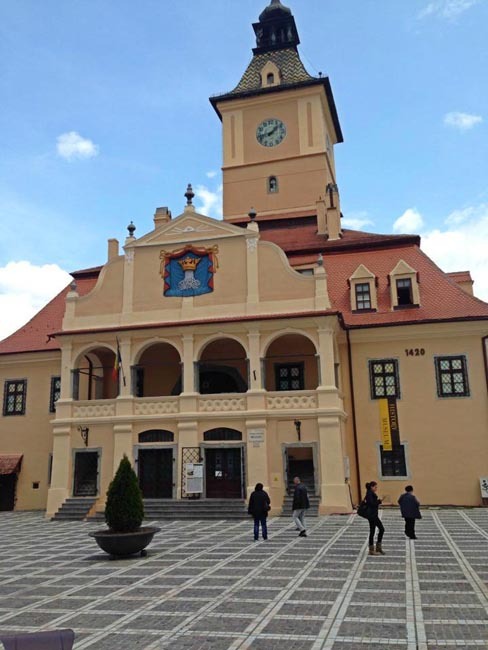 After a visit to the famous Marginea black ceramics centre, we visit the Sucevita Monastery, the largest and arguably the finest of the Bukovina monasteries. The church inside the fortified monastic enclosure (1586) is almost completely covered in frescoes inside and out. This morning we will depart for Brasov via a photo stop at Cheile Bicazulu (Bicaz Canyon). The road that slices through the Bicaz Gorges is among Romania's most spectacular. The gorge twists and turns steeply uphill for 5km, cutting through sheer, 300-meter high limestone rocks. At one point, the narrow mountain road runs beneath the overhanging rocks in a section known as the 'neck of hell'. This stretch of road is protected as part of the Hasmas-Bicaz Gorges National Park. A few kilometers west we will cross into Transylvania's Harghita County and immediately come to the resort area of Lacu Rosu or Red Lake. The alpine resort in this region sprang up in the 1970's and is still a magnet for hikers from both Transylvania and Moldavia. We'll break for lunch before continuing to Brasov. This morning we tour Brasov. Kronstadt in German, Brasso in Hungarian, Brasov ranks second in size after Bucharest. The Old Town lies between two mountains, surrounded like a halo by the Carpathians. 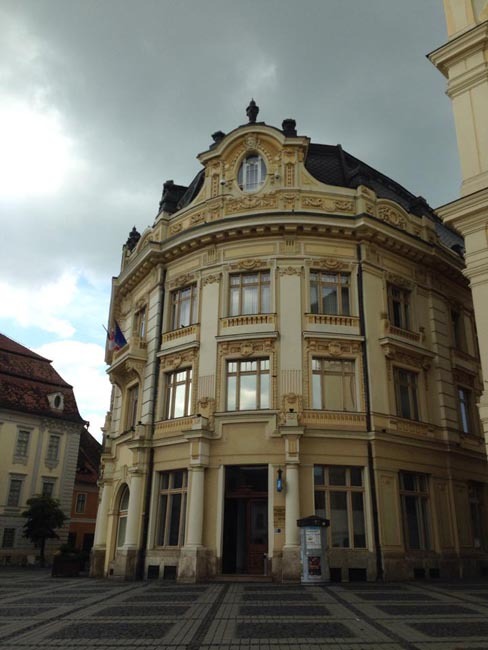 In Brasov we will visit the Black Church and Museum of First Romanian School of Schei. We depart for Bucharest, arriving in time for a break for lunch. We then begin our sightseeing program in the capital, the nation's powerhouse of cultural and economic life founded 500 years ago. During the 1930's, its tree-lined boulevards and fin de siecle architecture earned it the nickname "The Little Paris of the East". There is even an Arc de Triomphe on the handsome Soseaua Kiseleff, itself longer than the Champs Elysees and alive with blossoms in the spring. Despite the massive reconstructions of the 1980's, Bucharest remains a 'Garden City', leafy and pleasant, with many sidewalk cafes. Our tour today will include the Cotroceni Palace and Museum where we see the 6,000 room Parliament Palace. We will also see the Triumphal Arch, the Romanian Athenaeum, and University Square. We will drive out to visit the Bucharest Village Museum. Situated in a picturesque environment on a lakeshore, this is one of the largest and oldest outdoors museums in Europe. Its exhibits, including houses, churches, water and windmills are of great historic and artistic value. 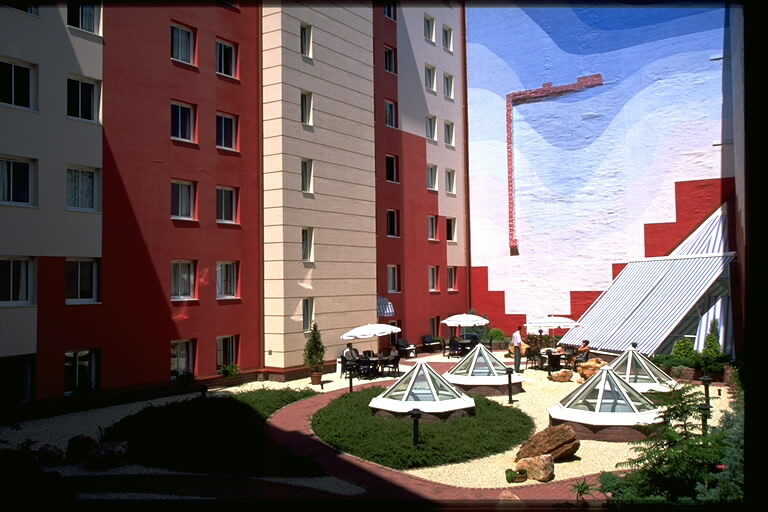 Sofia itself is largely a city of wide boulevards and squares, pleasant parks, and enormous Socialist Realism-style buildings. In the 5th century BC, Sofia was the Thracian city of Serdika. When the Romans conquered Thrace, they made it the capital. Then the hordes of Attila the Hun set it on fire in the 5th century AD and Justinian rebuilt it. * THE TIMING of today's flight will determine if we have free time in Bucharest or Sofia. This morning we depart for the 10th century Rila Monastery, 121 km (75 miles) south of Sofia at the end of a winding road through high rock walls with formations like giant animals waiting to pounce. This most-revered of all Bulgarian monasteries lies nestled in a soft, green wood. Mountains rise all around it; below it the Rilska River races over a stony bed. In the 9th century, twenty-year old Ivan Rilski (John of Rila) fled to this peaceful place seeking escape from the sordidness of the world. Finding a cave in the woods above this present monastery site, he took up the hermit life. Here he fed the animals and the birds and prayed in the stillness to God. In time, like-minded men joined him and they built the first monastery here about a 2.4 km (1.5 mile) from the present site, where, today, you will find his tomb, the little Church of St. Luke, and the cave he inhabited. In the past, pilgrims were not deemed sinless enough to enter the monastery. 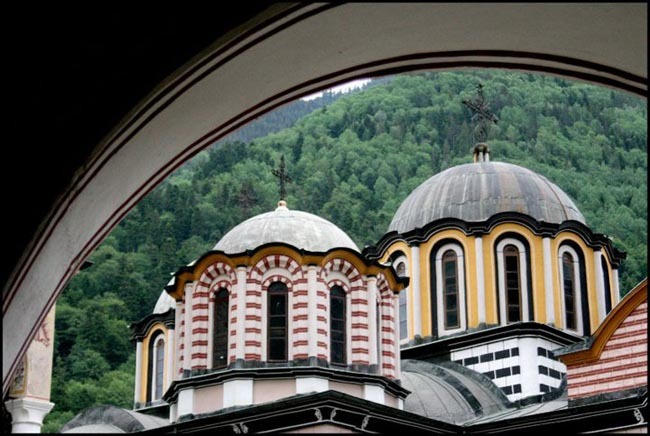 The Rila Monastery is one of Europe's largest monasteries, located in some of Bulgaria's most beautiful terrain. Sightseeing of the monastery features the unsurpassed frescoes of the Church of the Blessed Virgin. Monks still practice within this five-domed treasure. Also contained within the exquisite fortress-like walls of the monastery is the Historical Museum featuring a collection of objects connected with the monastery's thousand-year history. After lunch we will return to Sofia. Today we travel to the ancient city of Plovdiv, situated in the Plain of Thrace. Plovdiv was formerly known as Pulpudeva until Philip II of Macedon's weary horse collapsed under him here at the edge of the Thracian plain in AD 342. Since that was surely an omen, he built Philippolis on the site in the horse's honour. Later the Romans renamed it Trimontium -- the City on Three Hills. For five centuries, under Turkish rule when it was known as Philibe, it suffered much devastation. Today it is a city of great charm, with legacies of a hectic past. Plovdiv has a lovely "stariyat grad," or old town, with Turkish influences and a charming character. Our tour includes the Old Quarter, the Ethnographical Museum, and the Roman Amphitheatre. Within Trimontium, the historic heart of Plovdiv, typical 19th century Bulgarian homes line the streets. This morning we depart Plovdiv for the world famous Valley of the Roses. In this valley, 70 percent of the world's "attar", or extract from roses, is produced. Nimble- fingered women and girls do most of the picking, while donkeys are used to carry the petals away. In the town of Kazanlak we visit the Thracian Tomb (fourth and third centuries BC). The Thracians are regarded as the original Bulgarians, a people closely linked with the ancient Greeks. Before our climb over the Shipka Pass we will visit the Shipka Memorial Church. 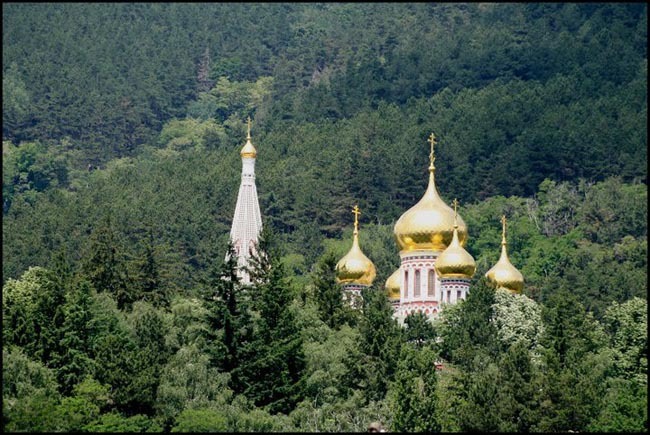 The golden Domes of this Russian-style church rise out of the hillside. After crossing the spectacular Shipka with its majestic vistas and momentous history we visit the open-air Ethnographical Museum of Etura, a recreation of a typical 19th century village. After a tour of the museum we continue on to Veliko Tarnovo, once the capital of Bulgaria (1185-1396) and still showing the remains of its past glory -- fortress walls and palaces perched among the steep cliffs of the Yantra Gorge. Clinging to the crags that rise above the River Yantra, this capital of the second Bulgarian Kingdom of the Middle Ages is one of the country's most picturesque sites. 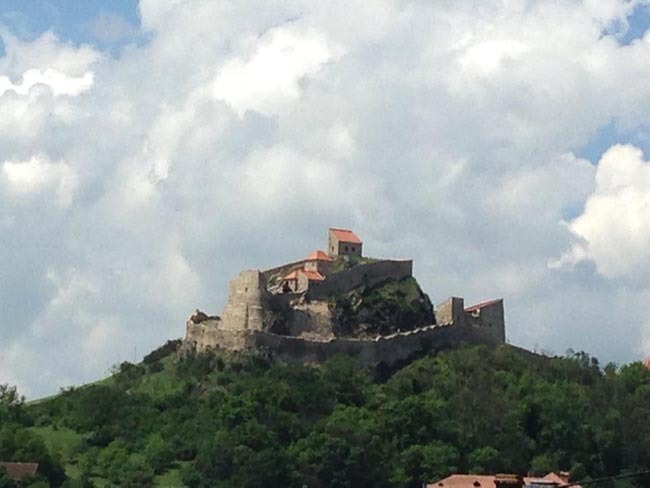 It rises on three main hills: fortified Tsarevets; Trapezitsa, where boyars lived; and Sveta Gora, then the centre of a scholarly monastery, now a university site. Today we have a tour of this town laced with history. We will admire the breathtaking views of this picturesque region during our tour of the Tsarevets Citadel (Castle of the Czar). 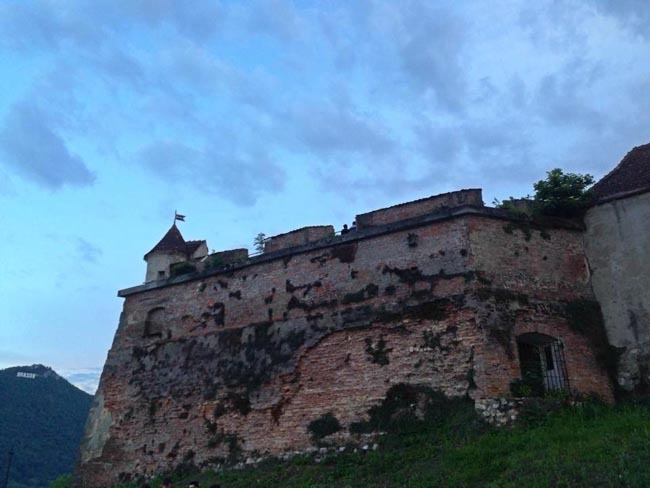 This commanding position was first fortified in the 6th century and had become the royal centre of the Second Bulgarian Kingdom by the end of the 12th century. A short drive away is the hilltop village of Arbanassi, first settled by Albanian immigrants in the 15th century. We will have the opportunity to visit several of the houses in the region dating back to the 16th and 17th centuries. Today we travel to Sofia via the beautiful Danube Plain. En-route we will cross over the Troyan Pass and visit the nearby Troyan Monastery, Bulgaria's third largest. After a lunch break we will continue on the well-preserved 'museum-town' of Koprivshtitsa. It was here that the revolt against the Ottoman occupation began in 1876. A visit here gives us an insight as to how Bulgarians lived a century ago. Our WALK throughout the enchanting town will bring us to many unique houses with wooden columns, painted facades, richly decorated interiors, and lovely gardens. Today we have a sightseeing WALKING tour of Sofia. The motto of the city is "Sofia Grows but Never Ages"; founded over 7,000 years ago, Sofia today is an exciting meeting place of history and the present. Traces of the lives of Thracians and Romans, Proto-Bulgarians and Slavs can be seen here. More than 250 historic, archaeological and architectural monuments have been preserved in Sofia, the center of the country’s political and cultural life. A highlight of our day is the National Museum of History, which will act as retrospective summation of the things that we have experienced and seen on our trip. We'll also see some of the most famous landmarks: The magnificent St Alexander Nevsky Cathedral, one of the most spectacular buildings in Sofia. In addition to the splendor of the building itself, the cathedral is also remarkable for its icons and murals, painted by the time's foremost artists. 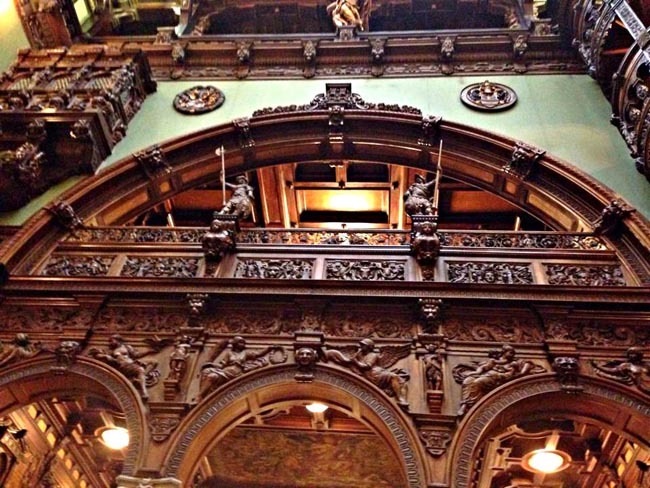 Its crypt contains the most valuable collection of Bulgarian icons. St Sofia's Church is the second oldest, but most significant building, which gave the city its name. Specialists highly value this remarkable archaeological monument, witness of Serdica's golden age during the 6th century. The large archaeological complex of Roman and medieval ruins, dominated by St George Rotunda is the oldest building in Sofia. Repeatedly destroyed and rebuilt, the St George Rotunda has been restored to its original 5th century appearance when it was used as a Christian church. 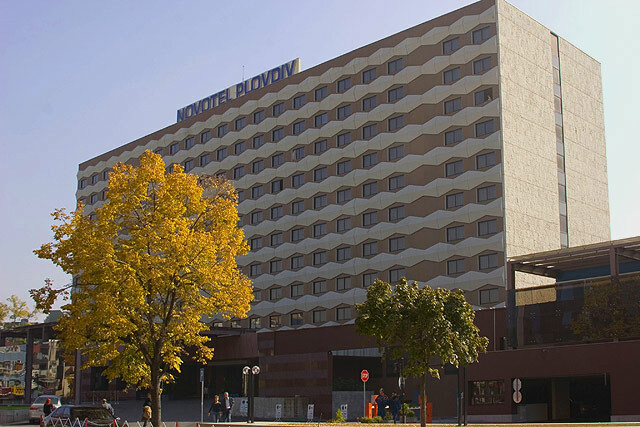 The Ibis Budapest Centrum hotel is located in the centre of the financial, cultural and commercial district of Budapest. Ideal ...	business or tourist stays, it is within easy access by public transport. 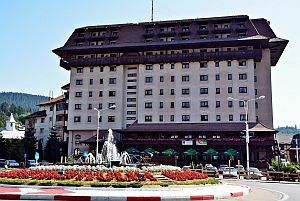 The hotel has 126 air-conditioned rooms. You will appreciate its garden with a terrace and its bar open 24/24 to serve light meals and snacks. Restaurants are immediately close by. Wifi Internet access for guests. The hotel offers 33 rooms that offer you modern comforts in a traditional style, perfectly suitable for business and leisure. ...	rooms are fully air-conditioned, have a shower or a bath with hair dryer and make-up mirror, satellite and cable TV, high speed internet access, mini-bar, international telephone, coffee-maker and rooms with facilities for persons with disabilities. In Gura Humorului town center, this imposing hotel is 1 km from the town train station and 5.4 km from ...	medieval Voroneț Monastery. Traditional rooms feature minibars, cable TV and free WiFi. Suites add sitting areas or living and dining rooms. 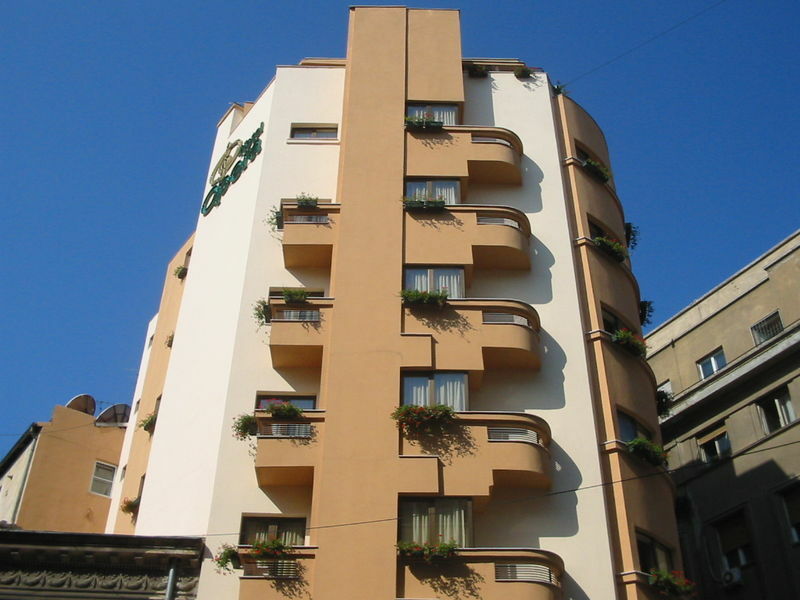 In a building dating from 1477, this quaint hotel overlooking Piața Sfatului square is a 4-minute walk from Biserica Neagră ...	and 3 km from Bartolomeu train station. 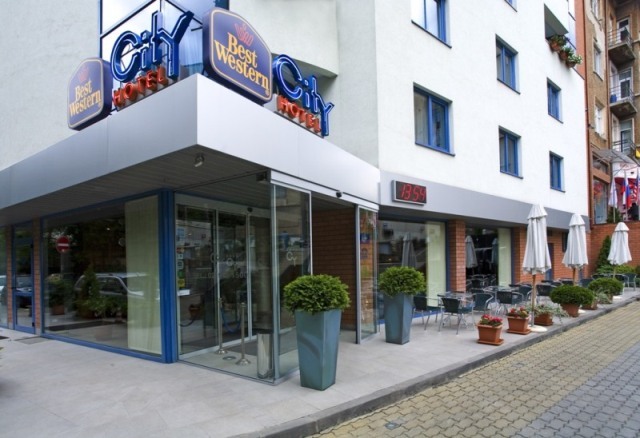 As part of the Best Western brand, City Hotel in Sofia features: full buffet breakfast, data ports for Internet connection ...	hair dryers, iron and ironing boards, coffee/tea makers (upon request), complimentary toiletries available in all rooms and upon request. Our hotel rooms have individually controllable air-conditioning. They are equipped with telephone (in both room and bathroom), colour TV set (international satellite TV channels, as well as Pay-TV are available), hairdryer, music system, in-room electronic safe, a stocked mini-bar, magnetic card lock. luxurious bathroom with a separate toilet; air conditioning; Mini bar; Colour TV with satellite ...	direct dial phone; possibility for internet connection; 24 hour room service. Hotel offers: indoor swimming-pool; jacuzzi; solarium; bowling hall; pool hall; fitness-room. Breakfast and dinner (hotels & local restaurants) daily. All transport, sightseeing and entrance fees for sites noted as 'visited' in the detailed itinerary. Gratuities for local guides, drivers, restaurant staff, porters. Airport transfers for land & air customers arriving / departing on tour dates. International airfare to/from the tour. Tour Leader gratuities, lunches, drinks, personal items (phone, laundry, etc), domestic and international air taxes (if applicable), excursions referenced as 'optional'. Airport transfers for Land Only customers. Our post-reservation trip notes offer further guidance on optional meal costs and shopping. Land transport throughout by private air-conditioned motor coach, 24-36 seats depending on ultimate group size (see 'group size'). Though we will have a couple of full bus days there are plenty of stops of interest. There may not be porters available in all locations. We also make use of public transit in some cities in order to maximize sightseeing where vehicles are impractical (most people quite enjoy this insight into daily life). Well-located, air- conditioned, mid-range hotels (3 star) throughout. Many are smaller properties (3-4 story) that may not have elevators. All hotels have en suite toilet and bath, though most have shower only. Porter service is sometimes available; you MUST be independent with your luggage. Single rooms are limited and likely smaller than twins. Tour Leader, driver, local step-on guides in various locales.